Whoa! That's what I mean by "express mail"
Recently I went in China, and seeing the prices, it was difficult to don't buy too much stuff, even online, sending the stuff to the hotel address. Sent at 7pm, arrived at 4pm of the next day! Sending fee: about $5! As an Italian, I could even not conceive a letter sent at 7pm that can arrive the day after. And the price includes the pick-up fee! 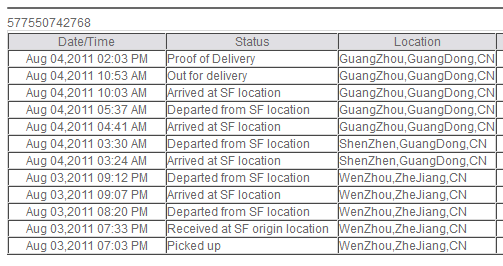 Again, I was shocked, a courier that works on Sunday!